Like bossa nova and samba, the choro is among the most popular music styles originating in Brazil. Originally emerged from a blend of European and African folklore, titles like "Tico Tico" are popular throughout the world today. 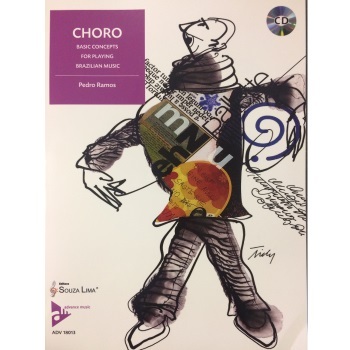 This textbook explains step-by-step the way to your own interpretation of the traditional choro melodies and to an improvisation in style. All examples are notated for C, B-flat, E-flat, and bass instruments. A CD of listening examples is included.